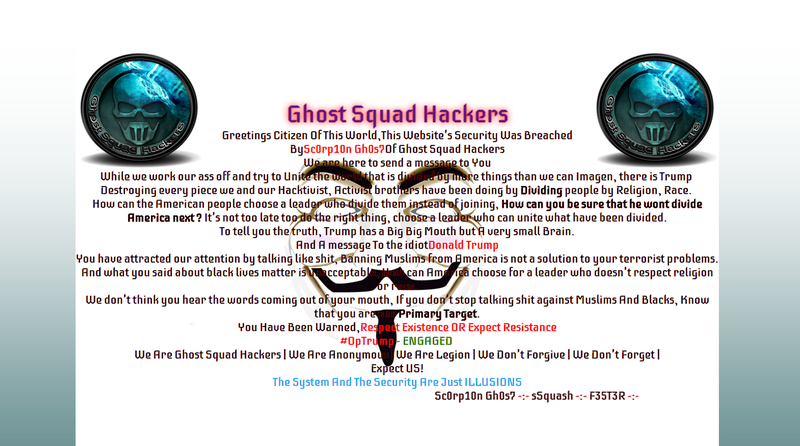 A Hacker Group named Ghost Squad Hackers targeted .edu domains ongoing Operation #OpTrump by Anonymous Hackers. The hacktivist group Targeted Donald Trump. On March 4 the Anonymous group, posted a video declaring “total war” on the presidential candidate. It hopes to not only bring down many of Trump’s sites, but also halt his presidential bid by uncovering and exposing embarrassing information. “We need you to shut down his campaign and sabotage his brand,” said a Guy Fawkes-masked individual in the video.